This gift takes a little more time to be crafted to perfection. It's why only 50 can be made in time for Christmas for a few lucky people. 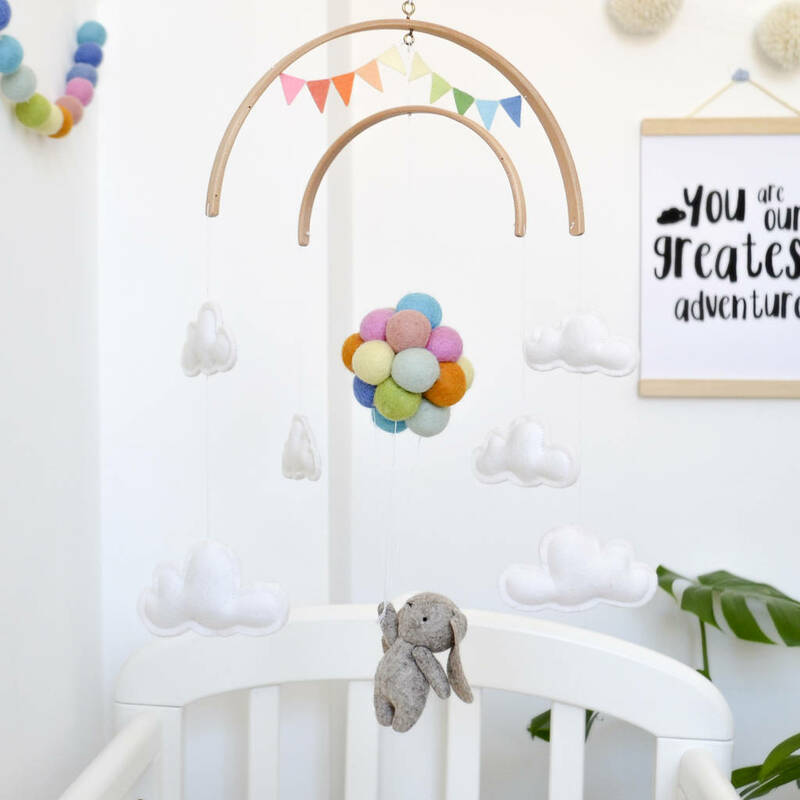 This is an delicate neutral gender baby mobile in brigh colours contrasting with neutral tones that makes it perfect for any girl or boy. 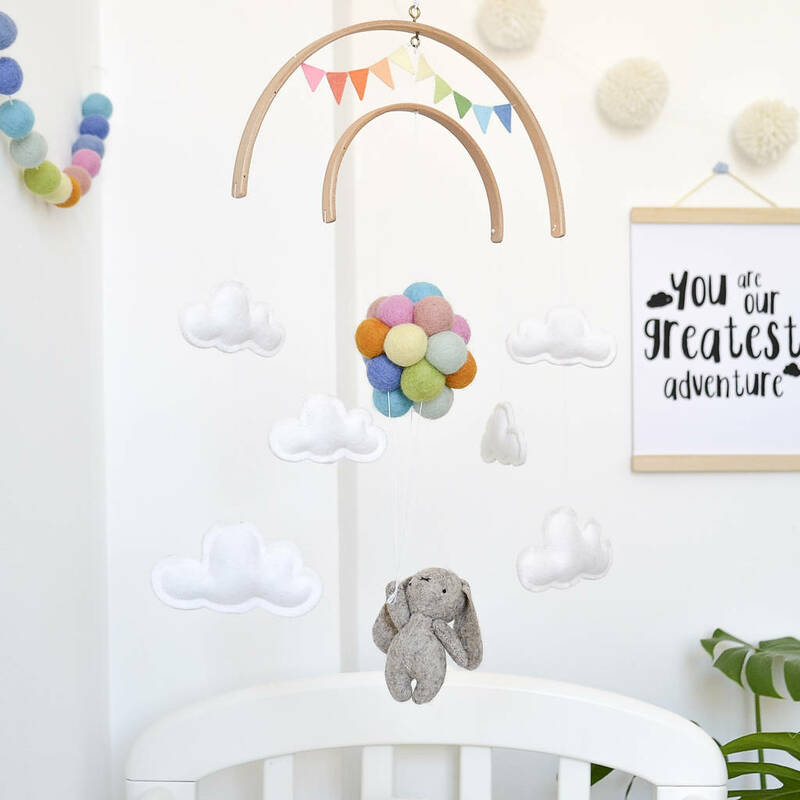 The bunny, clouds and balloons are designed to soothe and enhance baby's visual senses. It would be the perfect gift for a newborn. 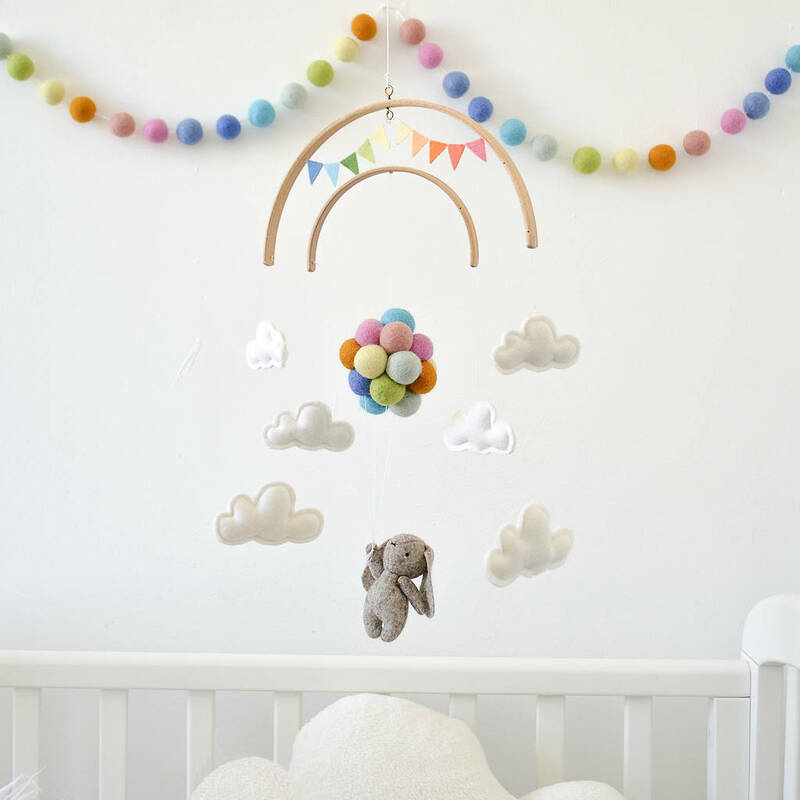 To decorate your little one's woodland nursery or playroom. This mobile is designed with the intention of becoming a loving heirloom. Please notice that this is not a toy. This item is made to order and I will make it specially for you with lots of love and attention to detail. If you like the mobile but would like to change something, please let me know. I will happily make another baby animal or use different color combinations to match your nursery and make the mobile of your dreams. Please message me or request a custom order and I will get back to you as soon as I can. - ADD A GARLAND: Add a beautiful garland to go with your mobile! They are created using 27 2.5cm balls for a 150 cm garland. 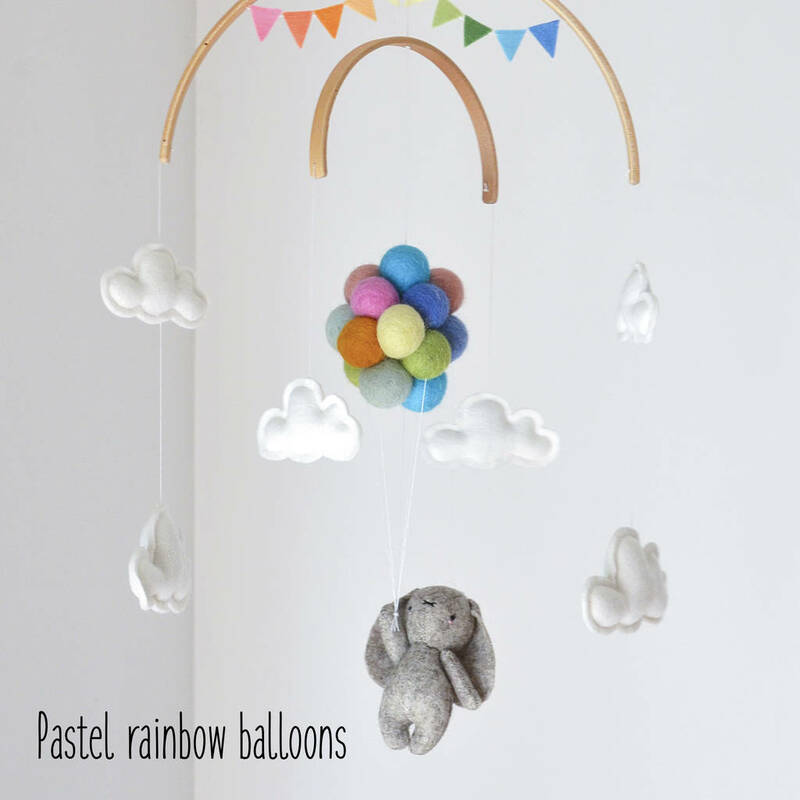 Garland will match the rainbow colours of your mobile. 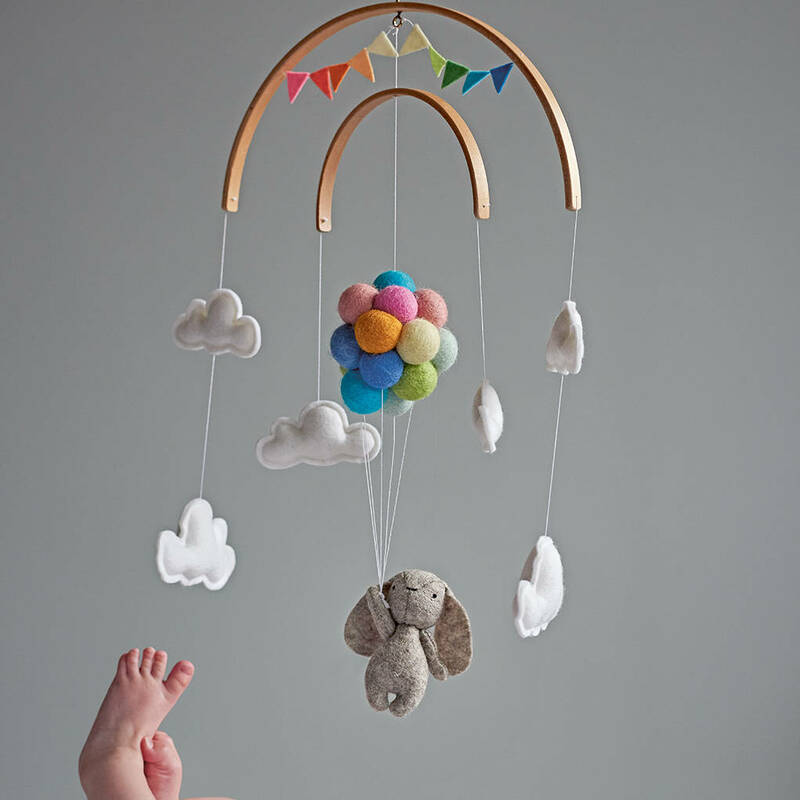 This mobile is entirely handmade with 100% wool felt and a wooden frame. The little bunny features embroidered, needle felted and hand-stitched details. Bunny and clouds are filled with hypo-allergenic polyester stuffing. The items are attached to the wooden hanger with an extra strong thread. The balloons are sewn together and securely sewn to the little bunny's hand. 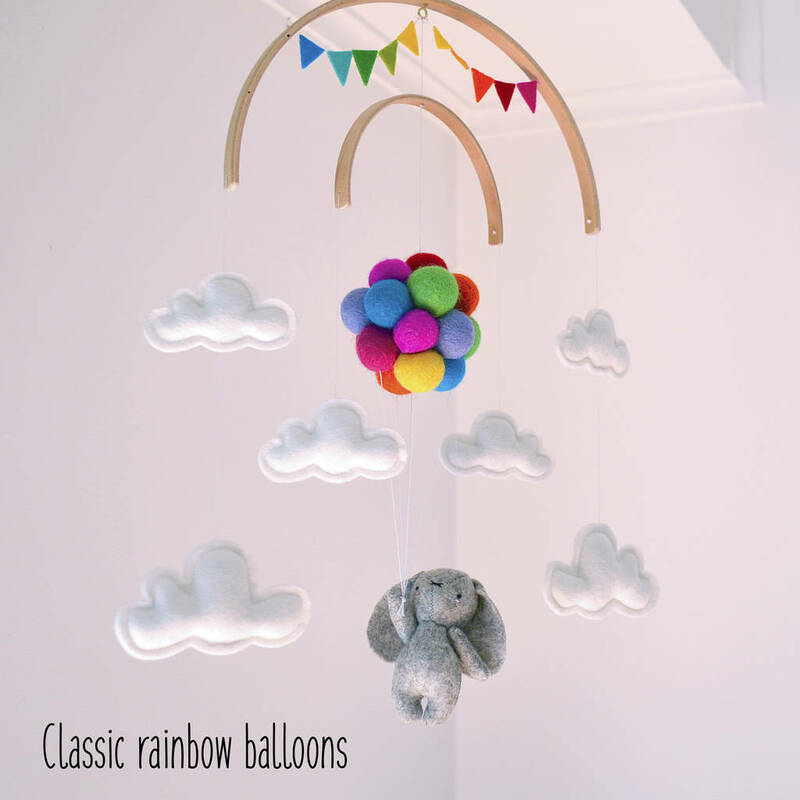 A clear thread attaches the body to the balloons to keep it balanced. The wooden frame has a hook on top with a long strong cord for ceiling hanging. You can also use this cord to attach the mobile to a crib arm.